The premium polymer clay range from Staedtler. FIMO kids is fun oven-hardening polymer clay especially for children. Sculpey Clay from Polyform is a leading brand of polymer clay. Polymer Clays are a versatile modelling medium suitable for beginners but also ideal for the advanced clay artist. Softer clays like FIMO Soft, Sculpey III and Sculpey Soufflé are extremely easy to use. FIMO Professional and Premo! Sculpey are firmer clays which are pliable once conditioned and hold detail well. They are available in a vast range of colours including specialist skin colours for doll making. FIMO kids is ideal for younger modellers! FIMO Air Dry Clays and are a convenient alternative that do not require baking to set.These allow solid but lightweight modelling projects and are available in bright colours. Although these clays can be worked with minimal tools more detailed projects will be helped by using specialist tools - a vast range are on offer - and referring to polymer clay books. 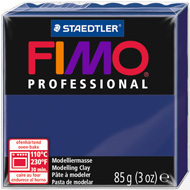 FIMO Clays from Staedtler are the original polymer clays. The range includes FIMO Professional (a firmer clay), FIMO Soft & Effect (easier to work clays). FIMO kids is especially formulated for easy use by children. Sculpey Clay is made by Polyform in the USA. Premo! Sculpey is a firmer clay that takes detail well. Sculpey III is an easier to use clay in a large range of colours. Sculpey Soufflé is a lighterweight clay. These air-drying clays are convenient to use. 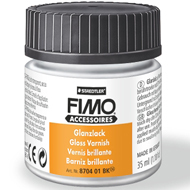 The range includes FIMO Air Basic, Natural and Light. 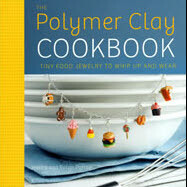 Everything you need to make great items from polymer clay. Adult and child sets. Glazes, clay softeners, liquid clays, foils, transfers, leaf metal, metallic powders, acrylic paints and more. Specialist Tools to work with FIMO and other clays. Rollers, cutters, shapers, extruders, pasta machine, texture plates, bead rollers and more. A large range of books for clay artists at all stages from children to professionals. Learn basic and advanced techniques. Get creative inspiration.